Vauxhall's managing director has suggested that "improper repair" on the heating and ventilation system of the car firm's Zafira B models could have been the cause of a series of fires. 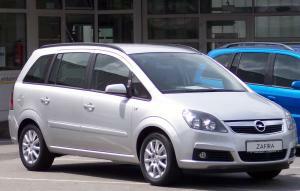 In a video addressing Zafira owners, Vauxhall chairman and managing director Rory Harvey stated that investigations had found evidence of improper repair of the cars' blower motor resistor and thermal fuse, which may be the cause of the previously unexplained fires. Even the largest car manufacturers can be prone to mistakes slipping through the net, which can in turn lead to widespread problems such as this. It ought to be a reminder to motor traders of the importance of ensuring the safety of their vehicles - a road risks insurance policy will allow employees to drive other people's cars for testing purposes, while a combined motor trade insurance policy will protect the cars while they are stored on the business' premises. Mr Harvey has stated that further analysis of the issue will be ongoing but hopes a thorough investigation will help verify the cause of the fires. The managing director also confirmed that Vauxhall will write to all Zafira customers affected by the issue asking them to visit dealers to have their heating and ventilation inspected and repaired free of charge. "We fully understand the seriousness of this situation and your personal concerns about safety. Please be assured that we will not rest until we are fully confident we have resolved this issue," he said.